As we grow close to the end of the year, I started picking up some new wall calendars for our home like many folks, I imagine. The old calendars, however; still hold some purpose not only to keep track of these final weeks of December but also in terms of mailing needs for next year. 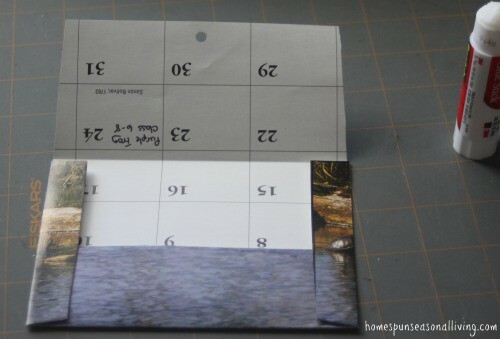 I make upcycled calendar envelopes from every old calendar I can get my hands on. I use these envelopes for everything from paying bills to mailing thank you cards and more. These envelopes always get talked about and are a fun way to use what you already have on hand. These are simple and quick to whip up. They're a great cold night project and great for kids too. Tear apart the calendars, so that each photo is a single page. 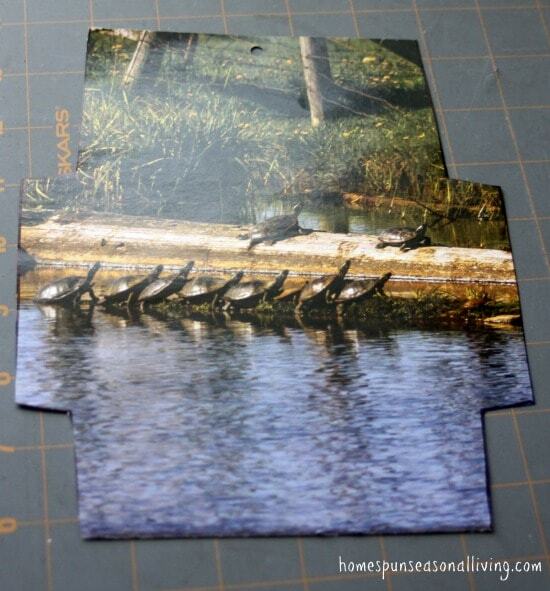 Lay the template over the photo and arrange so that the center highlights a special or nice spot for the envelope. Trace the template and then cut along the lines. Turn the envelope over so that you're looking at the dates, not the picture. Fold up the bottom edge first, scoring with your fingernail. Fold in the side flaps next again scoring with a fingernail. Run a bead of glue down the edge of the bottom flap and fold the side flaps over, pressing down firmly. Let the glue dry for a bit before folding the top flap down. Store your envelopes like this in a stack, in a drawer, or box. Simply address and stamp as usual. To make mailing addresses clearly visible use labels. I've done this for years and have never had a problem with the postal service in delivering these. 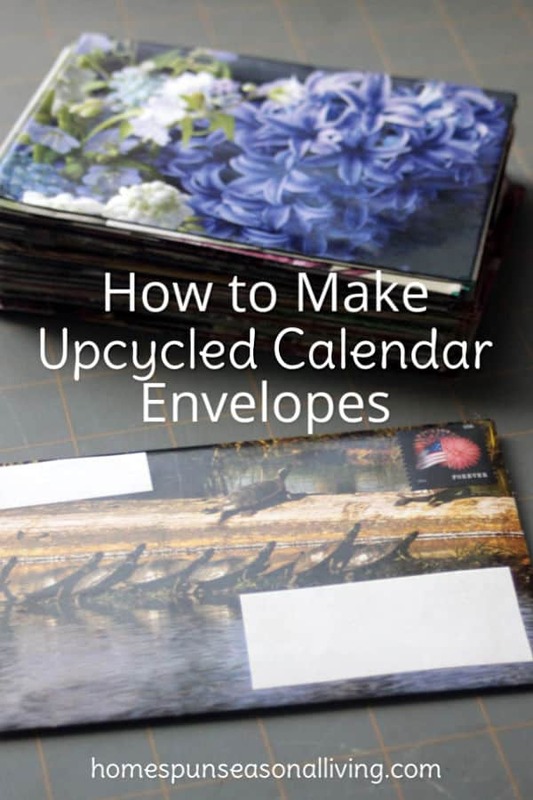 You can use any number of materials in place of calendars – old magazines, catalogs, etc. Don't forget the coloring pages and artwork of children, too. If this is a project you really enjoy, check local thrift shops for supplies (like old books, magazines, even calendars) . These upcycled envelopes make great gifts. Combine a stack in a theme for friends and put them in a little box or tie a ribbon around them with a nice pen and some labels. I’ve made small ones to hold seeds I’m saving too. Oh for sure, that’s a great way to use ’em. Makes for pretty gift giving too. I used to do this all the time with magazines, about three kids ago. Now that I don’t take any magazines, using calendars is a great idea!! Love this! I used to do it, as a teenager with magazine pages, and haven’t thought about it for years. Great tip! Thank you so much! Such a fun and easy project and I’m glad you like it. This is an awesome idea ! Thank you . Simply brilliant! I have never seen this idea before. I always recycle, but this inspires me to be a bit more creative with my “trash”. Thanks! I love this idea! I always hate putting old calendars in the recycle bin. Thanks so much! I am an activities director at an assisted living facility. Do you have any ideas of how to make greeting cards from past calendar pictures? Thank in advance for any help you can give me. I’m sorry to say I don’t know. Cardmaking is not at all in my wheelhouse. 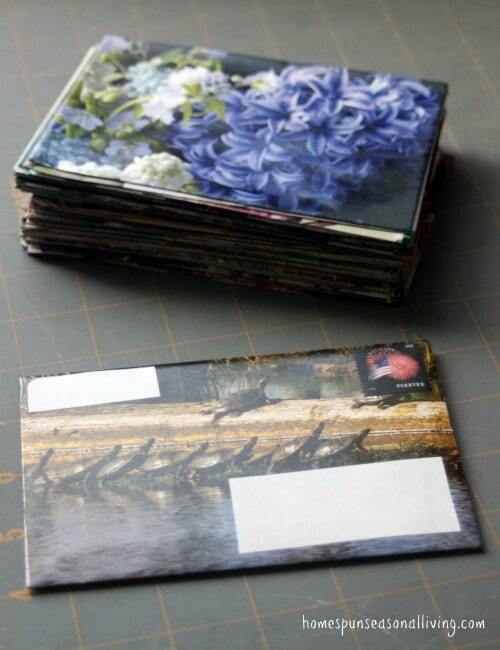 Consider using light weight card stock and glue the picture on front and fold in half. Writing personal notes inside personalizes the card. 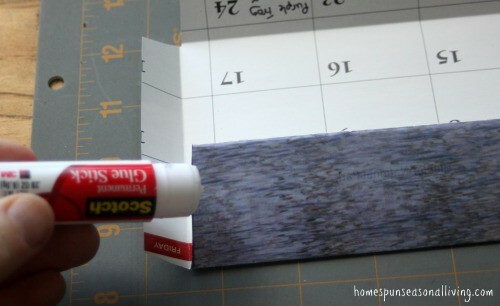 When my kids were small, I would spray glue the calendar pages onto a piece of recycled cardboard or poster board. Then cut them into odd shapes for a pretty puzzle. Oh that’s a super clever idea!